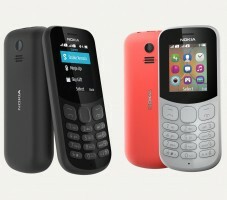 Nokia is adding two names to its feature phone roster by announcing a refresh to the Nokia 105 and Nokia 130. 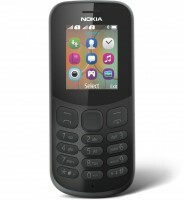 The two phones run on the Nokia S30+ platform, come in single and dual-SIM flavors and have Snake Xenzia on board. 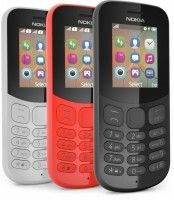 The Nokia 105 is almost the same as its predecessor but adds a bigger 1.8" display. There's an 800mAh battery aboard that promises 15 hours of talk time and a month's worth of stand by. There's an FM Radio on board too, but network support is limited to 2G. The single SIM model will cost $14.5 while the dual-SIM $15. 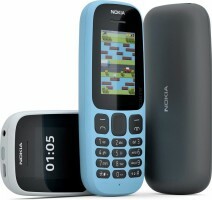 The Nokia 130 shares the 1.8" display size but its 8MB of storage can be expanded by up to 32GB through a microSD card. There's a camera on the back that's also capable of capturing video and Bluetooth support. The battery is beefier at 1,020mAh, and it can cope with 11.5 hours of video playback and 44.5 hours of FM Radio. There's an LED flashlight on top - like on classic affordable Nokias. 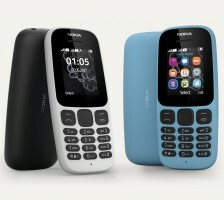 The Nokia 130 will cost $21.5. Nokia will never see that glory, anytime next, it's law of nature, once bitten twice shy! Nokia 8 flagship same from distance to near, 3,4,5,6 all same, but maybe inside upgraded. Until now Name survival, otherwise nothing extra ordanairy. That is what Greenpeace created for. To stop manufacturer polluting the world with useless creation and wasting resources. Yeah, exactly! 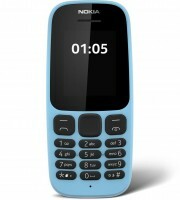 I thought of getting my dad one of Nokia's new feature phones, but the lack of 3G is not letting me buy one.